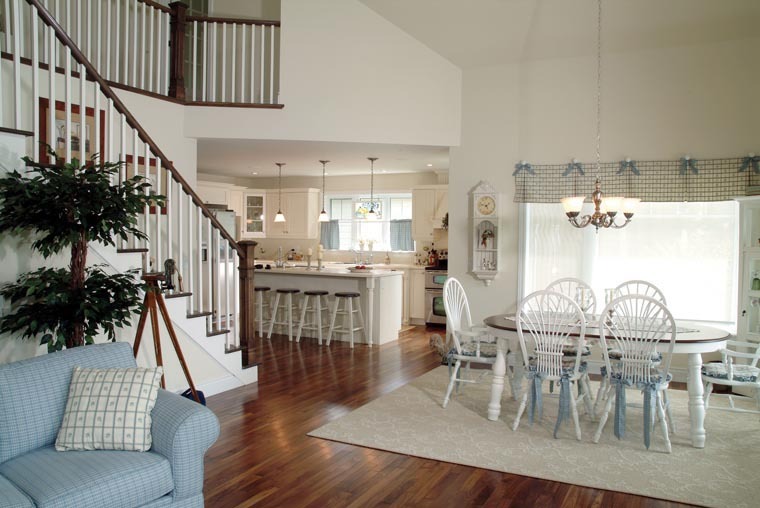 Houzz 51 of our visitors have told a friend about this plan. The steep-pitched roof with the aura of an A-frame triggers vacation mode. 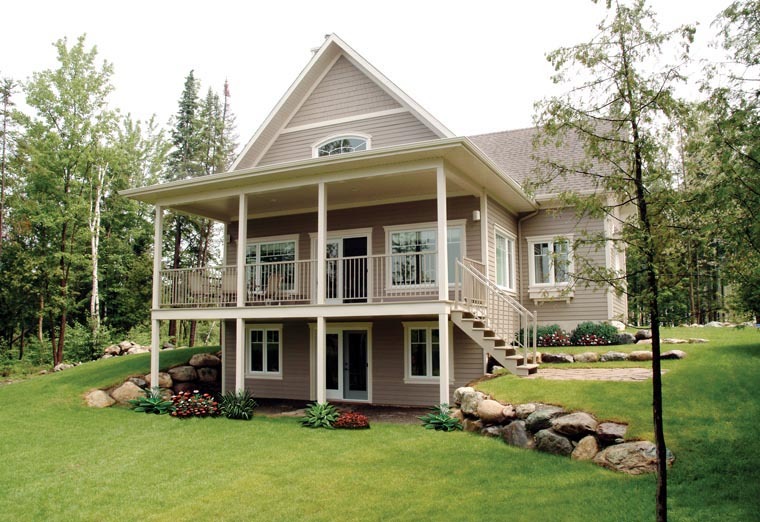 Double porches with slender pillars interact beautifully with the great outdoors. Inside, a bounty of significantly sized windows and sleek doors with bright sidelights draw the natural light and magnify the view. The interior layout=1480 sq. ft.- opens to a spatially rich arrangement where each of the two levels is endowed with its own large bedroom, and private full bath. A cathedral ceiling hovers over the family room with fireplace and open dining area. 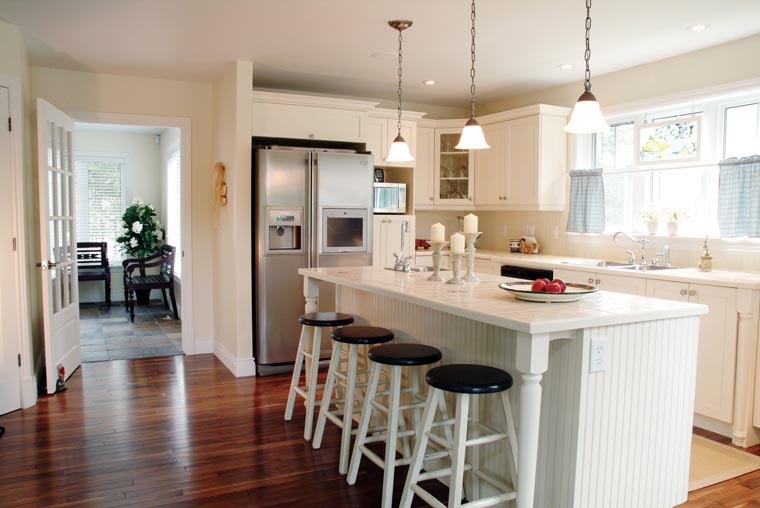 The country-style kitchen features a crowd-pleasing lunch counter. 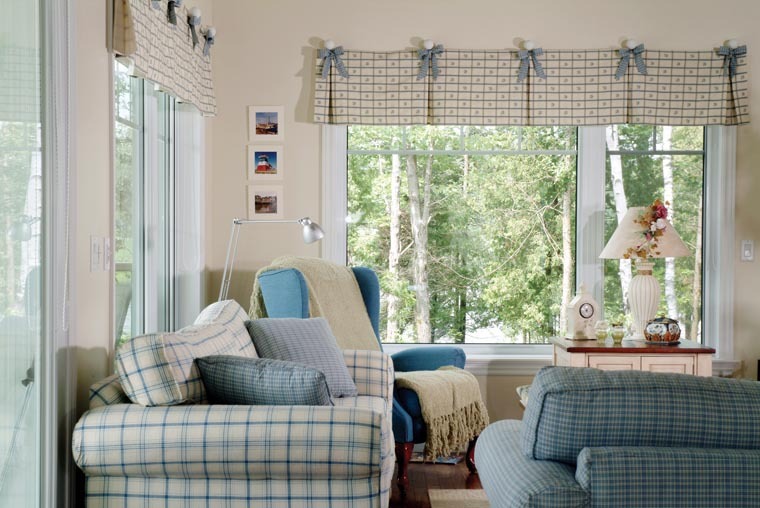 A nearby smaller bedroom can become a study. 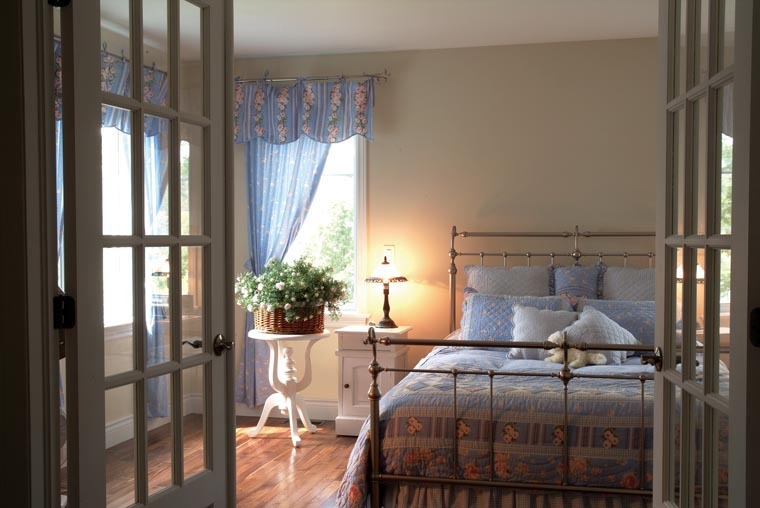 The master bedroom owns an enormous walk-in-closet and full bath. Upstairs, the secondary bedroom slips easily into its own snug family room and convenient full bath. 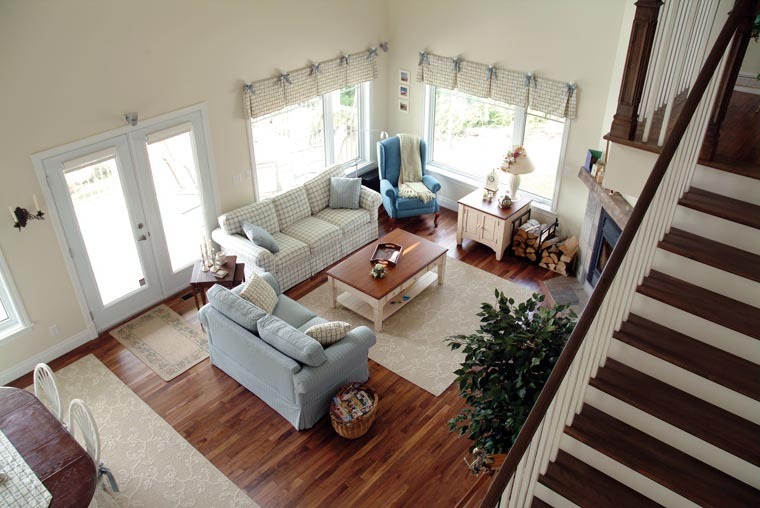 For an inspired overview, peer from the airy mezzanine into the family room. Question: Does the plan set have a framing plan and a truss design? Answer: Hello, Our plans come with the information needed for the truss manufacturer to design the trusses. I hope this information helps! Question: what is the width and depth f the porch? 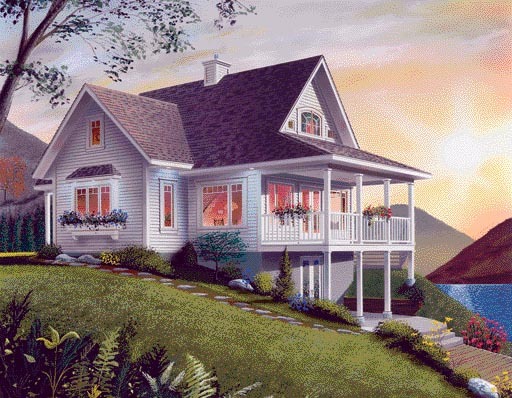 Answer: Regarding plan 65001, the porch of the house has a width of 24 feet and a depth of 8 feet. Question: In the additional notes you state that the 2nd level family room could be changed to a 3rd bedroom. Are there already modified plans for that possibility? Answer: Hello, We do not have a modified version of this plan that includes a 3rd bedroom on the 2nd level. Please contact us again if you need further information. We will gladly answer any questions you may have. 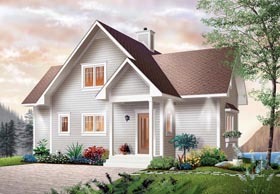 Answer: The washer-dryer and hot water tank are located in the basement for this plan. Question: What are the ceiling heights in the upstair bedroom and bath. What are the deminisions of the entrance way. Is their a utiltiy space on the main for washer dryer. Answer: The ceiling height for upstairs bathroom and bedroom is 8'-0". The dimensions for the main entrance are 5'-8" x 5'-0". The space for the washer-dryer is located in the basement. Master bedroom on 1st floor, central fireplace, abundant fenestration, cathedral ceiling over family and dining rooms, covered rear balcony and front stoop, built-ins, special ceiling treatments. 1st level: Closed foyer with coat closet, family and dining rooms with fireplace, kitchen with island and lunch counter, master bedroom with walk-in closet and access to full bathroom. 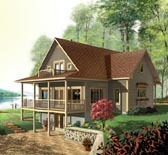 2nd level: Secondary bedroom, family room or bedroom #3, full bathroom, mezzanine overlooking family foom.